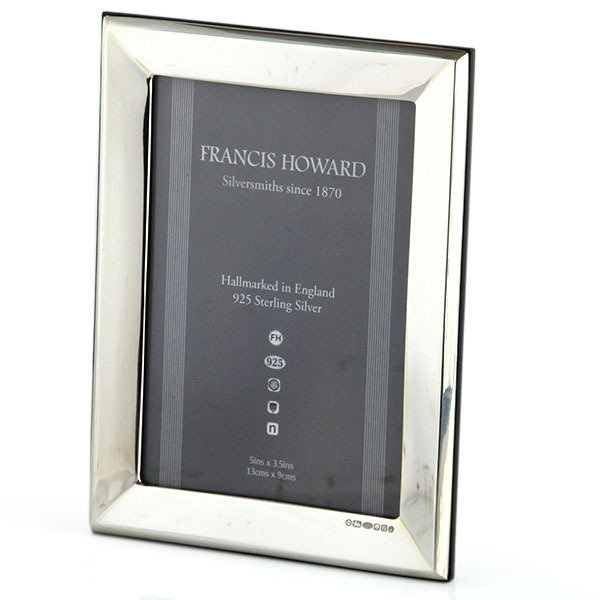 Pasarel - High Quality English Sterling Silver Mounted Wood Photo / Picture Frame. 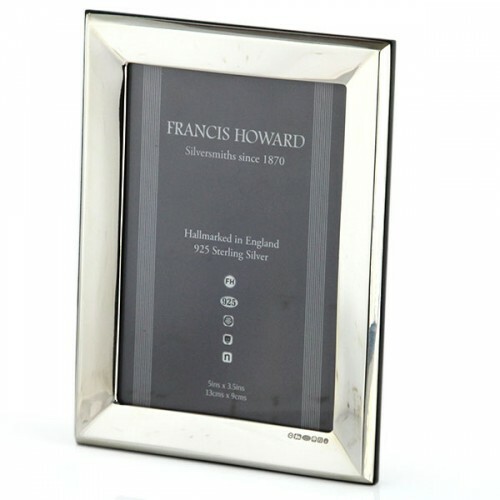 High Quality English Sterling Silver Mounted Wood Photo / Picture Frame. 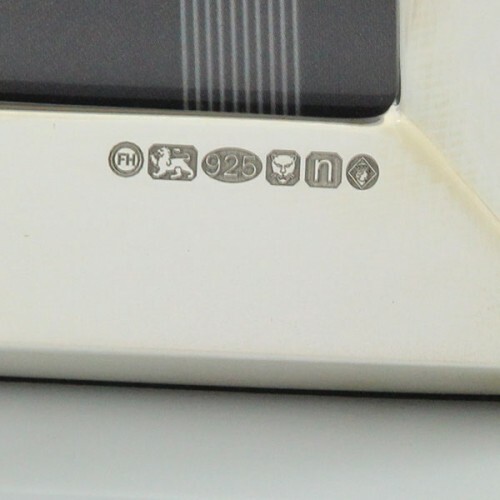 Of rectangular shape, canted plain frame. 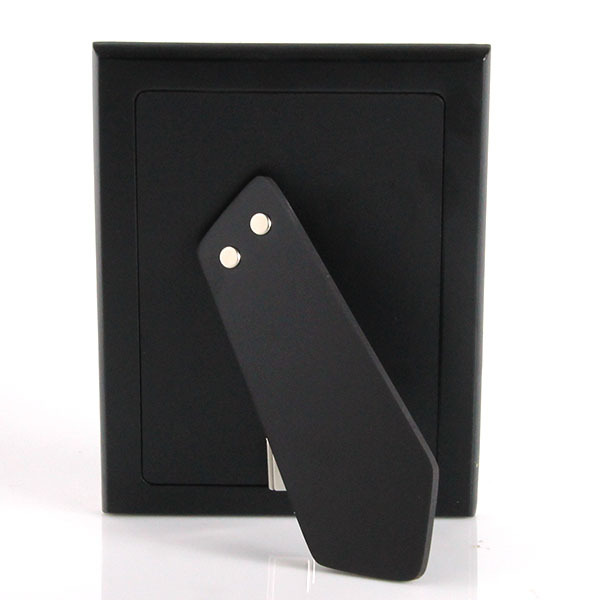 Can take a photo up to – 13cm X 9cm / 5in X 3.5in. 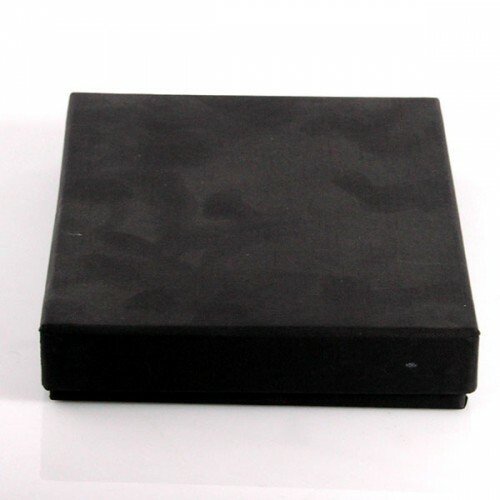 16.5cm X 12.5cm / 6.5in X 4.9in.